I really enjoyed this one! But it's surely going to be one of the worst reviews I've ever written because I don't want to spoiler ANYTHING. So let's just make it simple - Do you like strange ghost stories? If the answer is yes - no debate, just grab this short novella and ENJOY! I'll say that though I had a few guesses to what's going on, there were FAR more things I was surprised by which was part of why this short novella was so awesome. 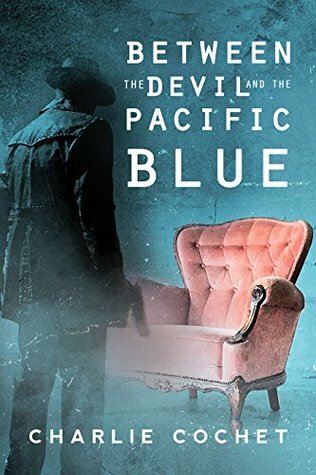 The whole feel of the place - this very old creepy hotel named "Pacific Blue" where our main MC (and sole POV) Detective James Ralston have been working as a nightshift security. Meeting Franklin Fairchild every night on 2 a.m. on his round makes him wonder about the guy, but truly he has NO IDEA what's destiny has in store for both of them. I loved the whole idea behind this story and the fact there was always much more than meets the eye about the place as well as the special role the hotel seems to have. In so many ways - not what I expected in the best possible way.